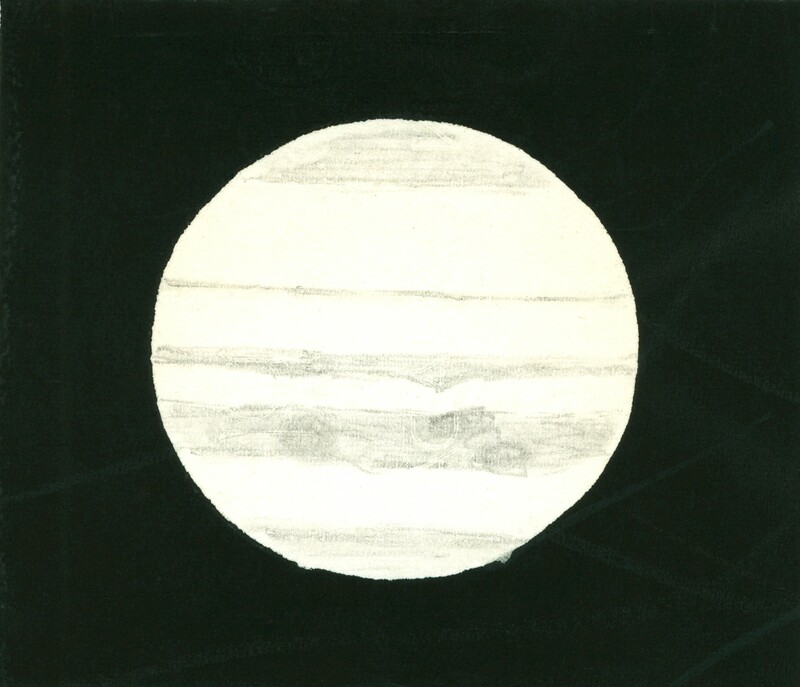 Jupiter on 1959 July 3/4 at 21:45 EDT (01:45 UT) as sketched by K. Brasch. C.M. (1) 155º, C.M. (2) 310º. 3" refractor at 100x. Seeing 5. Transparency 2. Yellow filter.